Thomas J. Hurney, Jr., is a trial lawyer with significant experience in the defense and trial of health care, class action and complex litigation. He practices out of the Firm’s office in Charleston, West Virginia. If you spend any time around Tom, one thing is immediately clear – he loves the law. His excitement for all aspects of his legal practice shines through in his writing, his oral advocacy, and his dedication to teaching the next generation of young lawyers. Tom has more than 35 years of experience as a trial lawyer, handling a wide variety of civil actions involving serious personal injury and wrongful death. From 2017 to 2018 he served as the President of the Association of Defense Trial Attorneys (ADTA), a select group of trial lawyers whose membership is limited to one lawyer in any city with population of up to one million people. Tom's jury trial experience ranges from cases involving health care liability and medical negligence to products liability, insurance bad faith, breach of contract, and property disputes. Tom recently led the defense litigation team in a large class action related to water contamination and started 2018 with a nine-week trial representing a church in a sexual abuse case. In a putative class action action against physicians arising from the use of contaminated steroids, he and Candice M. Harlow defeated plaintiff's motion for class certification. He has handled complex litigation related to transvaginal mesh and other pharmaceuticals and medical devices. He is currently national counsel, with Laurie K. Miller, for a distributor defendant in the national Opioid Litigation MDL. He represents health care providers in a class action alleging overcharges for medical records. Tom also has significant experience defending industrial injury and "deliberate intention" actions, as well as environmental and commercial litigation. He has been admitted pro hac vice in cases pending in several states. In recognition of his trial skills, he was inducted as a Fellow of the American College of Trial Lawyers and also as a member of the American Board of Trial Advocates. Tom’s health care practice includes defending medical liability actions and other health care litigation, including negligent credentialing and privileging, peer review and licensing issues, and administrative investigations. 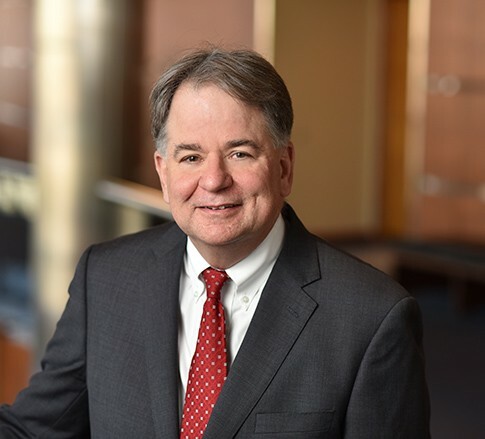 He has written extensively on the subject, including three law review articles and received the Robert L. Ghiz Award for Outstanding Service to the Physician Community of West Virginia in 2014 for his work on legislative reform in 2001, 2003, and 2015. In addition to being an accomplished legal writer, Tom is also a frequent speaker on a wide range of legal topics, including serving on the faculty of the IADC Trial Academy in 2014. It’s quite possible Tom has spoken at more legal events than most attorneys have attended. Tom has a significant appellate practice, appearing in the Supreme Court of West Virginia over thirty five times in a wide variety of tort and commercial cases. Successful oral arguments include the defense of the constitutionality of non-economic damage limitations, MacDonald v. City Hospital, Inc., 227 W.Va. 707, 715 S.E.2d 405 (2011) and to uphold a defense arbitration award where state agency claimed $100M in damages in W. Virginia Inv. Mgmt. Bd. v. Variable Annuity Life Ins. Co., No. 17-0486, 2018 WL 2769058 (W. Va. June 5, 2018). Tom also goes by another name – DJ. Tom's second career as a DJ started when he agreed to play at his children's middle school dance more than 15 years ago. Since then, he plays occasionally for charity and other events. After you've wrangled a group of sixth graders at a middle school dance, presenting a case to a jury hardly feels like a challenge. When Tom is away from the office, he enjoys playing guitar, cooking and grilling, walking, traveling the country and rooting for the Dayton Flyers. He is proud of Jackson Kelly’s continued dominance in Charleston’s annual Smoke on the Water Chili Cook-Off. Keeping up with family tradition, Tom’s wife Julia and two daughters, Grace and Eleanor, are lawyers, and son Jack is considering law school. Both his grandmother and grandfather were lawyers, as well.